Product prices and availability are accurate as of 2019-04-18 09:54:41 UTC and are subject to change. Any price and availability information displayed on http://www.amazon.com/ at the time of purchase will apply to the purchase of this product. 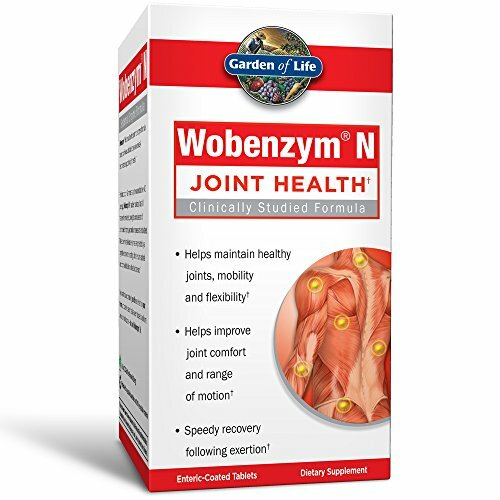 The Joint Support Supplement - Wobenzym N Systemic Enzymes is a clinically proven support for joint health that are encased in enteric to ensure that the enzymes are protected until they reach the small intestine where they can be absorbed and accessed by the body. In Chapter 14 of the Dog Cancer Survival Guide, Dr. Dressler recommends adding Wobenzym N to your dog's diet!